However, Valeriy had to wait for two years to come back to the sand due to FIVB’s transfer legislation. In the meantime, he received another invitation to change alliance, this time from Russia. Since his wife is Russian, and the country itself is a volleyball powerhouse, it was an easy choice for him, but he then had to wait an additional two years, totaling 4 international seasons away from the sport, before being cleared to play. 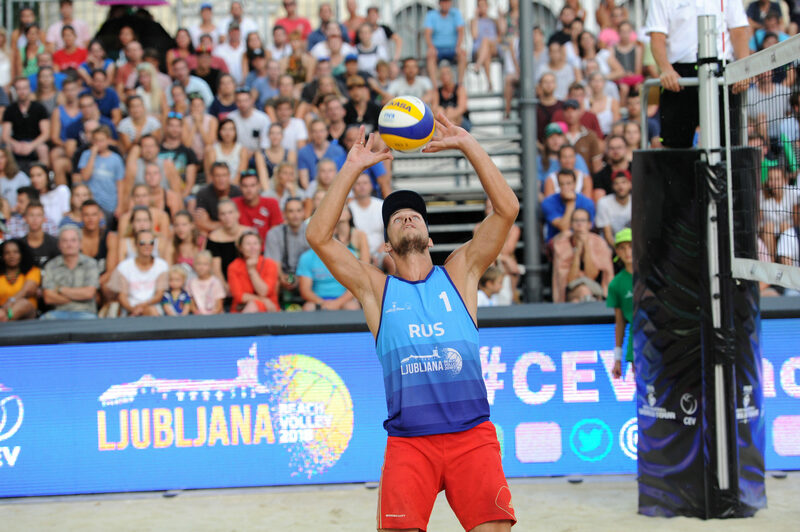 This man – Valeriy Samoday – hadn't played #BeachVolleyball internationally for four years, but, when he returned to the courts in Ljubljana, he made it count.